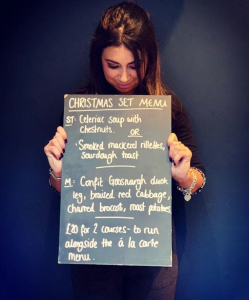 On our new set menu, you can look forward to a choice of celeriac soup with chestnuts or smoked mackerel rillettes on sourdough toast to start, followed by a confit Goosnargh duck leg, braised red cabbage, charred broccoli and roast potatoes all for just £20. Served alongside our main menu. Keep up to date with all the JB news on our Instagram.